Leisure Rent may be a new player in the Tasmania campervan hire market, but they are growing so fast. Established in late 2017, the owner of Leisure Rent has over 30 years of experience in the campervan and car rental market. So, when he had a chance to start a new company from scratch, he knew all the best ways to keep costs low and quality high. In particular, he has used the latest cloud software systems to keep the booking process simple and online rather than having to do everything in the depots on pickup. Leisure Rent has had the foresight to make more than one location available for pick up and drop off, even if there are some unique and different ways of doing it. So, without a specific depot and staff to inspect the campervans how are you going to do the damage inspection report before heading off? Well, an inspection report is supplied to you based on the end damage report of the previous renter. You compare the report to what you see on pickup―if there is damage on the vehicle that is not on the report you mark it down. And you better make sure you do because otherwise the next renter will, in which case you are going to get the blame for it and the bill. Get it? So make sure you do a detailed damage report before you go out as it not likely a staff member will be standing with you. Of course, it is commonplace to also take lots of photos and even video these days, so I suggest you do that too. The reality is no one likes it when a camper is damaged but the goal is just to make sure the person who actually did it has to pay for it, not the next renter. At the end of the day, we, the renters are really only interested in the convenience of the location anyway right. In fact, they have taken a leaf out of the JucyUSA book and just have safe deposit boxes with a PIN code in some locations to drop off and pick up the keys and 3rd party companies helping them out in other locations. This is available because they harness new technology like E-Sign so you can read and sign the rental contract days before you turn up for collection. 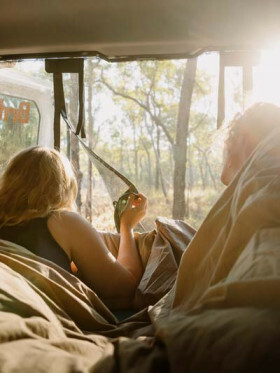 Leisure Rent is being cagey about just how many campervans they have and plan to have, but they love the Toyota Hiace model and have no plans to move into larger motorhomes with toilets and showers. As of this writing, they only have one vehicle for rent―a 4 berth hi-top campervan that is brand spanking new. And being a brand new company in 2017, you will be getting all brand new campers. Accordingly, their business model makes it so that no camper will get to over 4 years old and some will be retired early if they have clocked up too many kilometres. As a result, you can be sure you are going to be getting a fresh vehicle. 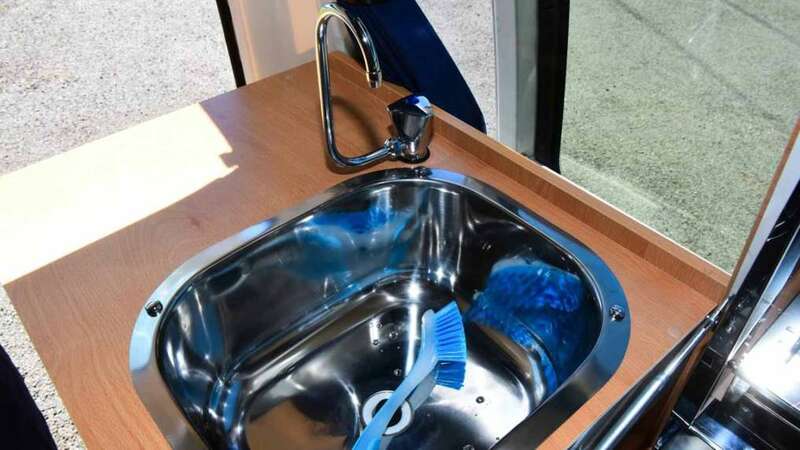 As mentioned, Leisure Rent is only supplying 1 type of campervan model for the foreseeable future and don't ever expect there to be a model with toilet/shower. It's based on the ubiquitous Toyota Hiace model with a hi-top conversion and a not-so-common interior design. Many of the interior designs put the kitchenette directly behind the driver, but in this case, the rear seating goes there. This configuration allows for the 2 single seats in the rear to take passengers and there is an option for one child seat via a single anchor point. 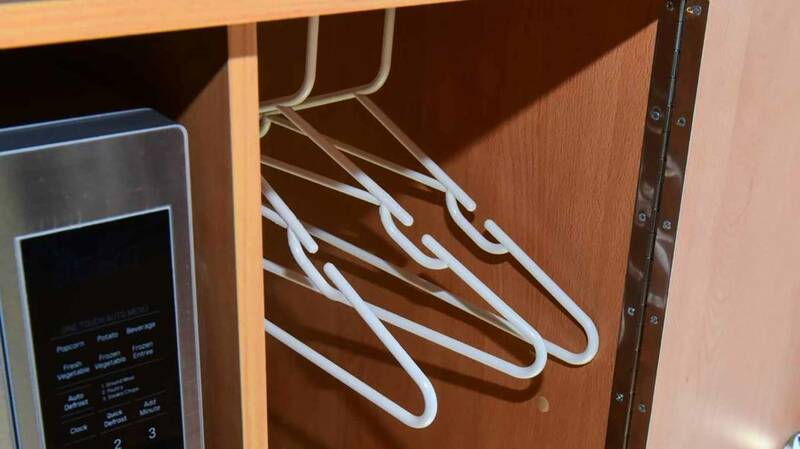 Inside, there's a fridge, microwave cooktop sink, and even a little wardrobe style cupboard for those things you simply MUST hang up. 2 people sleep "downstairs" on the converted dining table area, and 2 will sleep "upstairs" once the extra panels are pulled across making a 4 berth. I spent a year living in a camper with this kind of sleeping arrangement and it is perfectly comfy whether you sleep up or down. Leisure Rent has a base liability of AU$5, 000 if you take out no extra insurance cover through the company. This will be taken off your credit card and held for the duration of the rental. However, there is no credit card fee attached to that. If you return it undamaged, the full $5,000 will be returned and you are not out of pocket a cent. There is the Collision Damage Waiver (CDW) AU$30 per day to reduce the liability to AU$2500. The Maximum Protection Waiver (MPW) at AU$45 per day reduces it to NIL, plus windscreen and tyre damage cover. 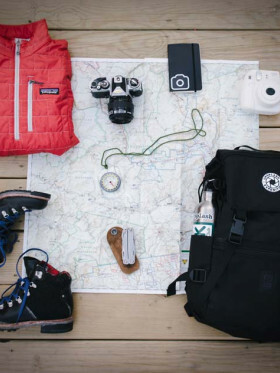 Last option is the Stress Free Package (SFP) at AU$55 per day, which is the same as the MPW but comes with free rentals of items such as linen/ bedding, camping table and chairs, GPS, extra driver fee, and child restraint and baby strollers―if required. 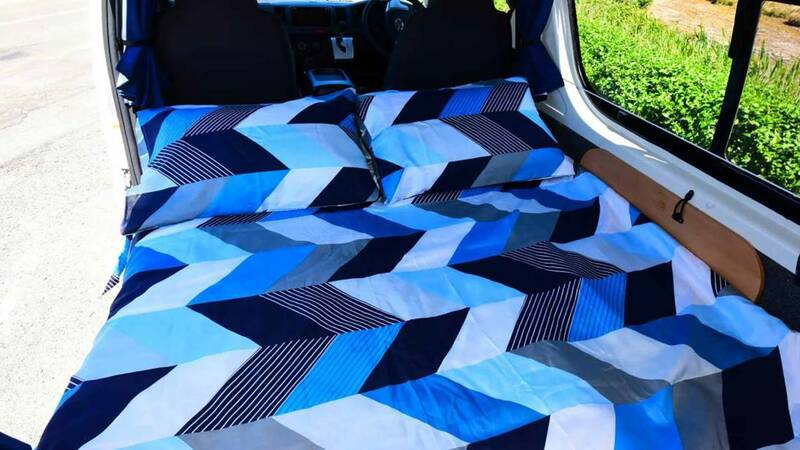 This is a standard custom across campervan hire companies in Australia and New Zealand and the rates to do so are on par with the Australian market. This new Tasmanian rental company is brimming with positive reviews. 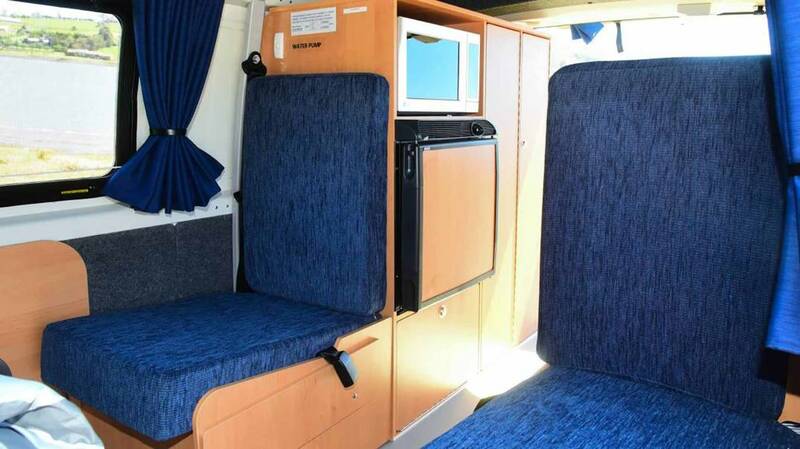 Even if they are dubbed as a new campervan hire, the person behind the business is a local with more than 3 decades experience and is committed to providing service as a labor of love. Accordingly, this entity can be a go-to company for quite a few years to come. 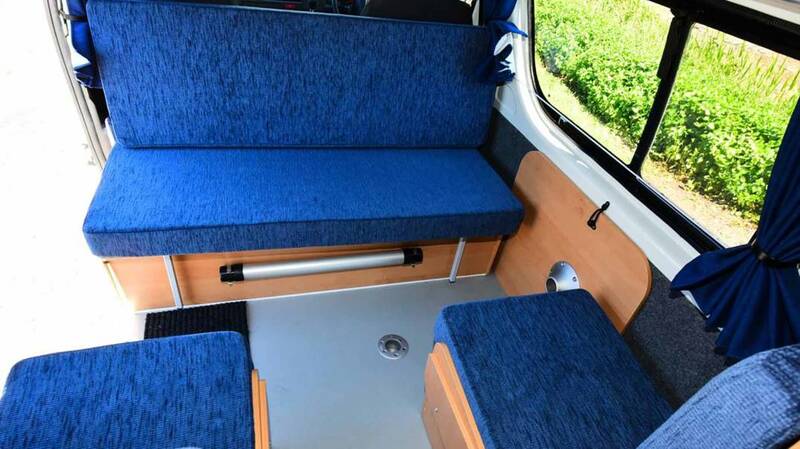 Their brand new campervans are 4 berth Hi-Top, which are cheaper compared to other campervan hires with also newer models. Even if they don't have a physical depot, only airport locations, they are one of the few companies in Tasmania that is up-to-date with technology, through its E-Sign and E-Key features. 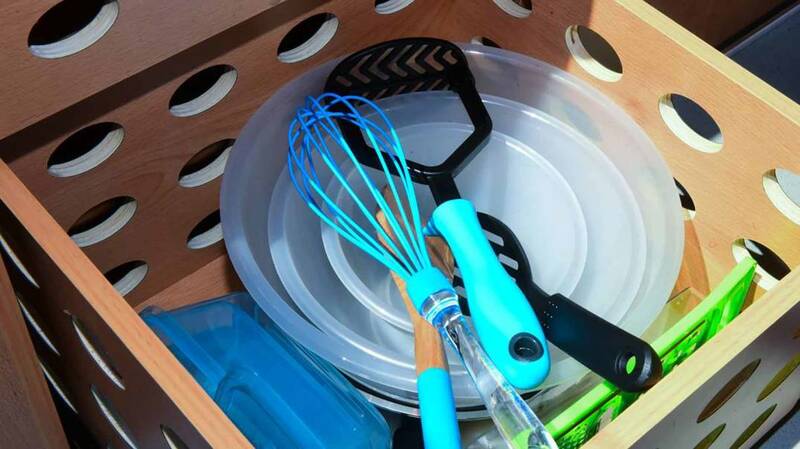 This kind of pick-up and drop-off is very convenient for renters. 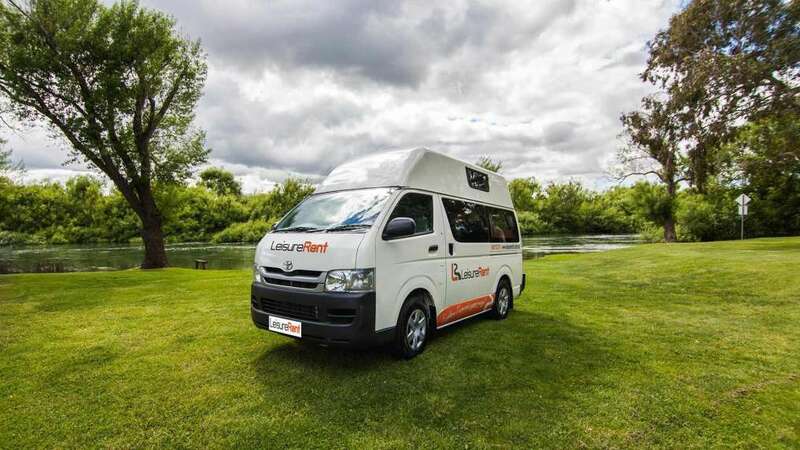 Leisure Rent is one of the most reputable campervan hires in Tasmania with no specific depots but continues to be a well-organized and well-recognized option among families of four. We loved the campervan. It had everything we needed. The bed in the roof made it comfortable enough to sleep all 3 of us each night. I'm pleased you and your toddler found everything you needed, including a cosy bed. Thank for the positive feedback. Easy pick up and drop off, friendly staff and a reliable vehicle. Overall a great service. Thanks for your feedback - Campervanning should be so easy. Glad it all went to plan. Overall we had a good experience. Would be good to have a tool to make coffee. Pleased to read you've had a good experience; thanks for your suggestion. From the booking process through to handing the van back at the end, it was a simple system and very well done. Ken always responded immediately and helpfully to any questions in the run up to our trip and sorted out a small problem we had at the start very fast and efficiently. Van was virtually new and was great to drive and travel in. Had an excellent 13 days. Thoroughly recommend Leisure Rent and Ken. Thanks Ken. Thanks for choosing us David, and so glad you had an excellent 13 days in the campervan. Thanks for the great feedback. "2 weeks trip in Tasmania"
The van handled very well, was reliable and the design was well laid out and practical. The kitchen was well equipped and bedding and towels provided comfy. Only recommendation would be to install the lower bed in the back of the van with storage space underneath and have kitchen and cupboard close to the side entrance. This would minimize the daily reconfiguration process and allow for better access. Ken was very responsive on any question or inquiry and we always felt in very good hands. Would definitely recommend and rent again! Thanks for the feedback and your suggested re design; however for us the layout you would prefer wouldn't allow for additional seat belts for the rear, and would mean purely a 2 berth vehicle. We require the flexibility of having up to 4 people travelling. Glad you enjoyed the experience all the same. 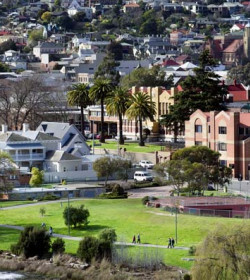 Children enjoy a lot and it is a good way to discover Tasmania. For parents back, it is more hard ... we recommend. Nice to hear the children enjoyed the campervan, and thanks for the recommendation. Well presented and very true to its description. Highly reccomend this company, and its amazing service. We had an absolutely amazing time exploring Tasmania, and the campervan was spacious enough with 2 kids. Appreciate your positive feedback Martin and pleased to hear you had an amazing time. We had an excellent experience with our camper van rental from Leisure Rent, I can't really fault it. The vehicle was perfect, brand new and exactly what we had been hoping for. In fact it exceeded expectations. The picking up and dropping off of the vehicle was easy. I would highly recommend a rental from Leisure Rent and feel certain we will use them again. Exceeding expectations - that's brilliant! so glad your experience with us was excellent and we look forward to welcoming you again in the future. Spent 9 days in the LeisureRent camper and had a fantastic time. The solar panel and LPG allowed for freedom so that we could camp, cook and run the fridge everywhere on the road. Camper was nice and clean, including the towels and bedding. We particularly appreciated the sharp knives provided for cooking and two kettles - one to plug in at powered sites and the other to put on the stove. Little things were taken care of - bin bags, pegs, washing liquid - things we would have forgotten! We also loved the size of the van, we were able to park it easily in car-sized spots on the street in bigger towns. We also appreciated Ken's fast responses to our issues, he always picked up the phone and was happy and helpful in providing advice. Would recommend LeisureRent in a heartbeat. Thanks for such wonderful feedback - reading comments like yours makes it even more enjoyable to be in this Business. We are just back from a fantastic trip of 4 weeks exploring Tasmania. Tasmania is a little paradise. The contact with Leisure Rent is excellent. Ken is replying almost instantly to emails. Questions are clearly answered. We enjoyed the Toyota Hi-Ace camper van, who did its job without any problem. Big advantage is, that it is also allowed to drive on unsealed gravel roads, else we would have missed the Western Explorer and the Styx's. Thanks for the great review Evert - so pleased it all worked so well for you both and you enjoyed Tasmania so much. The Leisure Rent campervan was excellent. Very easy to drive. Inside set-up was very convenient.. Small kitchen had everything we needed. We didn't have to go into crowded caravan park as we had the solar panel on top allowing us to be fully independent. I really recommend it. Ken was really really nice and the exchange of mails easy and very quick. Thank you so much Ken for the wonderfull holidays you allowed us to have. So pleased to hear you had a wonderful holiday and you enjoyed the campervan so much. So easy, so much fun. Glad you had a fantastic time Mike. "Great van and service for a tour of Tasmania"
Thanks for your feedback, we hope to see you again so you can discover more of Tasmania. Quickly picked up at airport and on the road promptly. The motorhome was modern, clean with low kilometres and performed well with no problems for the eight days. On return transferred back to airport quickly (approximately 2 km) and overall very happy with the vehicle as advertised and good value for money. Will recommend this company and would use them again without question. Thanks for the great feedback - glad everything performed as expected. As we had visited Tasmania in 2014 and only had 14 days to drive around we soon learned that it was not enough time to do this beautiful State justice...so we returned this year and went to all the places we missed, and returned to a couple of our favourites as well. We thoroughly enjoyed our return and were also fortunate to have perfect Spring weather almost the entire visit. Can highly recommend visiting "Tassie" if not already done so. 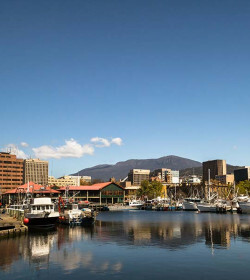 We're pleased you enjoyed visiting Tasmania again and you had a great experience. Thanks for your top review. 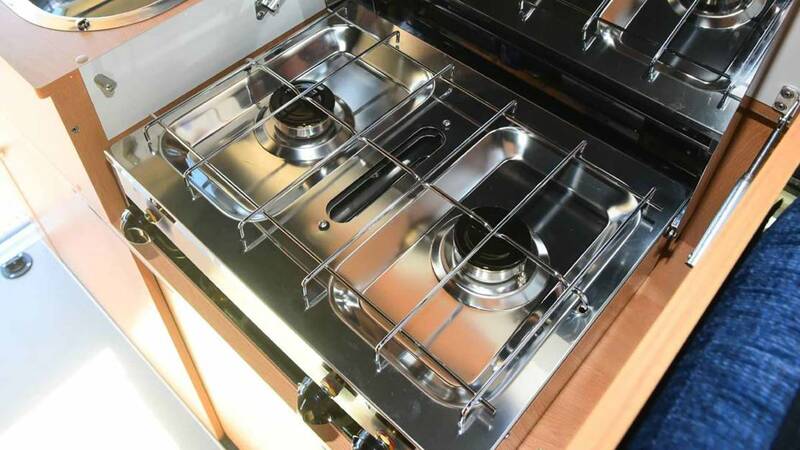 Our camper was nearly brand new and in great condition. The unlimited kilometres option meant we could go everywhere we wanted to go. The staff were friendly and helpful. The pickup and drop off at the airport made the trip so smooth. All in all a perfect holiday experience with Leisure Rent. Thanks so much. Sounds like you had a 'Perfect' time in our camper - thanks for your great feedback. 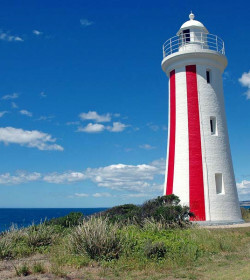 "Leisure Rent Review September 2018"
Really enjoyed our experience of renting off Leisure Rent Tassie. Ken provided a wonderful service and was prompt in responding to any questions. we had. Good information was provided on arrival and drop off procedures. We were picked up within five minutes of arriving at the Hobart airport and dropped off at our vehicle pick up point shortly after. The vehicle was clean and tidy. Loved the fuel efficient vehicle, we felt very comfortable during the whole trip. While and electric fan heater was provided we did not use it as once the van was closed up at night we were warm enough. Loved the reversing camera as it cut down on blind spots. Things to improve: We ordered package of chairs and table for eating outside. 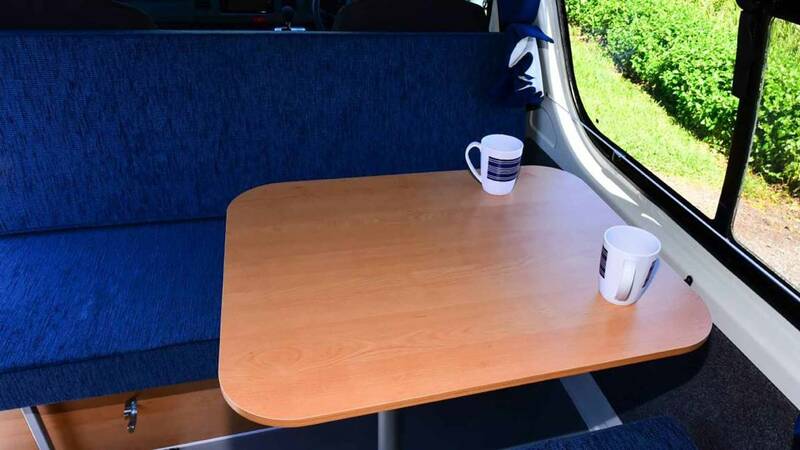 We used the table both inside and out as it was more stable than the table provided with the van. The camp chairs were a bit light and more robust chairs should be provided to cater for wider range of weights. Thanks for your comments and suggestions Mike; we're glad you enjoyed your experience with renting form us. I'm so sorry we let you down (and ourselves) during your recent rental. If ever you need to rent again in Tasmania I hope you'll allow us the opportunity to make amends.